Al Charron seems to think he’s a pretty ordinary guy. He admits he’s had “some success” in the sport of rugby. But other than that, he doesn’t see himself as anything special. That perspective in and of itself makes Al stand out. In spite of his protests, he is in fact one of the most—if not the most—respected players in the history of Canadian rugby. He was recommended as a Kickass Canadian by Jay Ankersmit, director and athletic therapist at the Ottawa High Performance Centre (OHPC). Jay has spent more than a decade treating dozens of top-level athletes, working with organizations such as Rugby Canada, the Ottawa Senators and the Ottawa Fury Soccer Club, as well as with many individual Olympic, National Team and professional athletes. Having met Al and done some background research into his life, it’s clear to me that he is a modest man with a great heart. Given that he won’t sing his own praises, allow me to also make it clear just how impressive he was as a rugby player. Born and raised in Ottawa, Ontario, Al got his start in rugby playing for the Hillcrest High School team when he was in Grade 12. He’d played recreationally in gym class, but didn’t try out for the competitive team in his early years because it conflicted with baseball season, which he’d already committed to. Still, he had a feeling that he’d love competitive rugby. So after three years of baseball, he switched sports and never looked back. Standing nearly 6’5” and weighing in at around 220lbs, he took well to the game’s philosophy. Before long, he was playing with the top-ranking Ottawa Irish Rugby Club, and was spotted by selectors for the provincial and national teams. In 1989, while he was completing a degree in sociology at Carleton University, he got a career-making opportunity. Team Canada had lost players to injury, and was looking to pick up replacements for a tour in New Zealand and Argentina. Al was selected for the tour and proved his mettle to teammates and opponents alike. In the 14-year career Al enjoyed after his first tour, he not only played on Team Canada for every match he was healthy and available, but was nearly always selected for the starting lineup. Throughout his stellar run, he played in four Rugby World Cups, and often served as captain or co-captain in the latter stages of his career. He holds Canada’s record as the most “capped” player, having been named to the National Team on 76 occasions in internationally recognized matches. After rugby lost its amateur code in 1995, he eventually accepted one of many offers to play pro. He moved to Europe in 1996, where he played in England and France for nearly six years. While there, he was voted ‘Bristol Supporters’ Player of the Year’ and ‘BBC West Country Rugby Award Recipient,’ both for the 1998/1999 season. In spite of the success he achieved in Europe, his devotion as a Canuck never waned. He always came back to play with his home team during the European professional off-season, and made a priority of playing with Canada for the World Cups. That dedication, on top of his talent, didn’t go unnoticed. 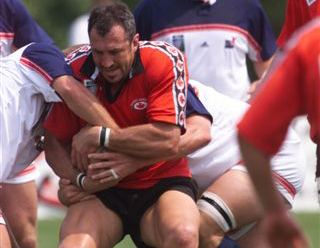 For both 2001 and 2003, he was named ‘Canadian Player of the Year’ by Rugby Canada. In 2009, he got a special nod from his hometown when he was inducted into the Ottawa Sports Hall of Fame. The praise is deserved. Al’s performances alone merit the recognition he’s gotten from the rugby community. When you factor in the chronic knee pain he was playing through, they become all the more impressive. After a particularly rough first year playing pro, his injuries worsened to the point that he was getting near-daily treatments to drain the bursas in his knees. An unsuccessful surgery to remove bone chips further complicated the issues he’d had. 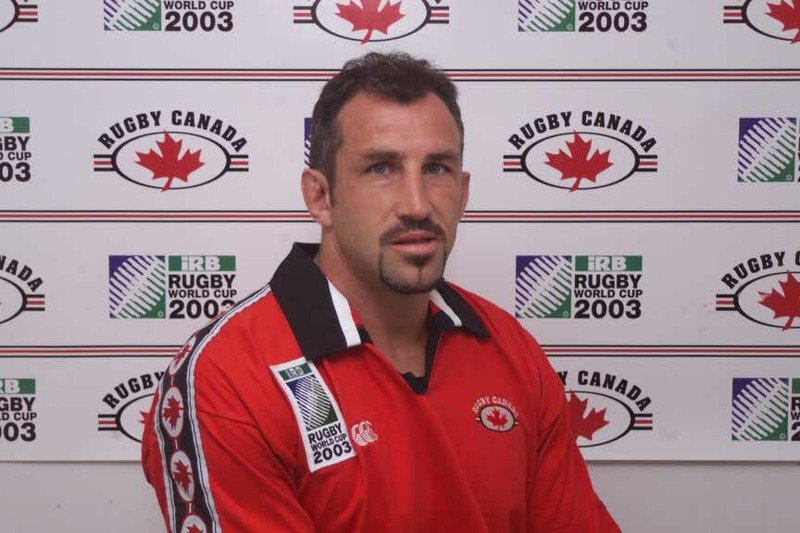 Al retired from rugby after playing in the 2003 World Cup. Unfortunately, his injured knees—one of which has blown out three times, including once just a few months shy of his final Cup—continue to plague him. He isn’t able to maintain the level of fitness he had throughout his career. In fact, his surgeon recommended that he give up running for good. But Al was never one to give up. So he started by getting out and doing it. He registered for the race and went for what he calls a “training run.” However, after the abuse his knees had taken, and with a relatively neglected cardiovascular system, he found the run to be much more of a shock to his system than he’d anticipated. “I was embarrassed,” he says. “I’ve never stopped short in anything sport-wise in my life, but I had to stop because I was hurting so much.” He wasn’t sure he’d be able to push his 310lb body to finish the 5km course. But he wasn’t about to break his commitment, especially given that the race was established as a tribute to the Canadian Forces. 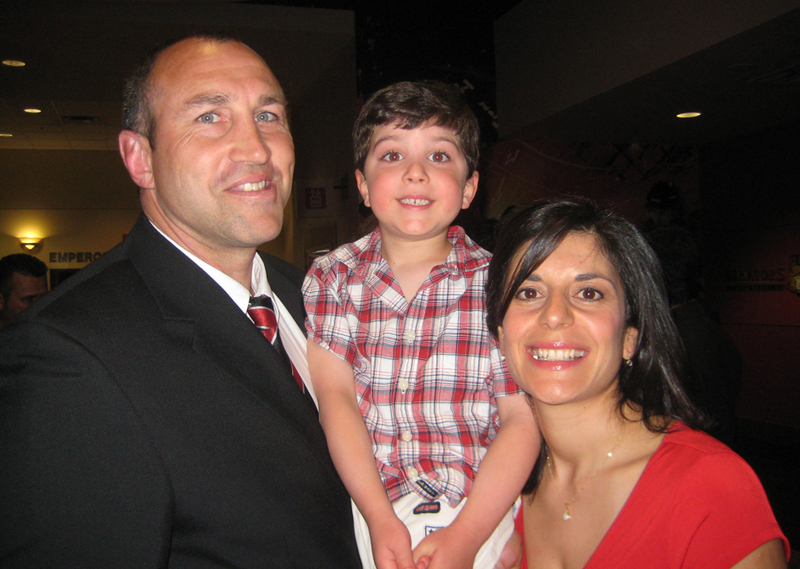 These days, Al spends his time working at Ottawa-based IT recruitment company Modis, and enjoying family time with his beloved wife Annette and six-year-old son Rylan. Al stays involved with the rugby community by volunteering to speak at schools and banquets, doing what he can to promote the sport. He also served as part of the National Team’s management for the 2007 World Cup. If rugby is indeed a beastly game played by gentlemen, here’s a former player who truly deserved his spot on the field. To reach Al, email netal1827@gmail.com. This is a great article – very well written about a man I know very well now. Al was one of the great’s of the game for Canada, and he still gives 100% when I call him to help the cause. Thanks, Nick! Glad word is getting out – Al and the sport deserve it. After reading this, I feel very proud of you and think you are your father’s son. I wish I had known when all this was going on, I would have been one of your biggest fans. Congrats Al!!! I can’t think of anyone who deserves this more. Aunt Danielle and uncle Denis are very proud of you. We both think you are what we call a great Canadian! LOVE! p.s. Uncle Denis hopes you are also a Montreal CANADIAN hockey fan like your Dad was. I was fortunate enough to play with Jedforest RFC (Scotland) against Al and Ottawa Irish in a tour friendly in Kingston, Ontario some years back. 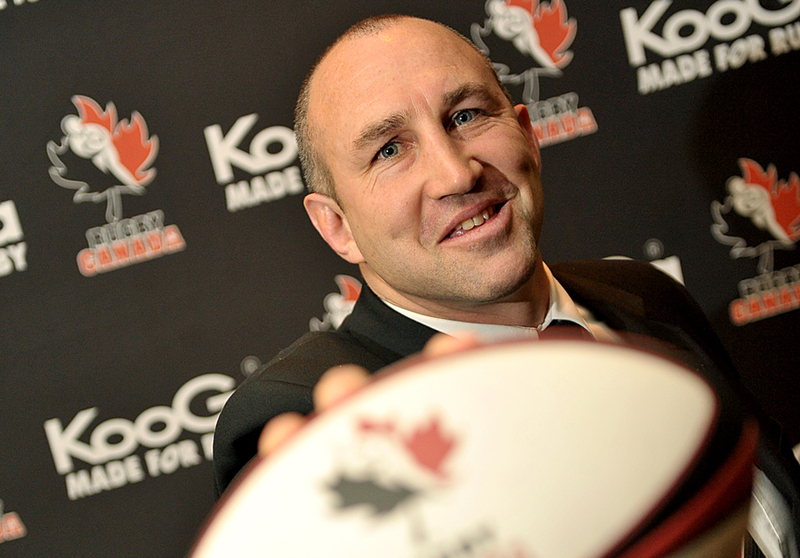 He was a tough guy on the pitch, but a real ambassador for the game, and Canada both on and off the pitch! We had the pleasure of sharing a meal with Al and Annette at last night’s Bluesfest fundraiser – what a lovely couple! Al is a true kickass Canadian – thanks for giving us a place to come and learn all about his career. Lea and Greg, the pleasure was all mine! Thanks for checking out the site. I hope you enjoyed the fundraiser! Al, it was a pleasure meeting you at the recent wedding of his excellency Mr Needs. As a kiwi living in America for the last 20 years, it was a pleasure talking rugby with a true Canadian great. Remember the book. It was a true honour to meet you. You could not wish to meet a better bloke than “Big Al.” I met Al in the 90s when he played for Moseley Rugby club. Such a down-to-earth fella and a fantastic family. All the very best to you all mate. PS Still got your tie mate!!! !